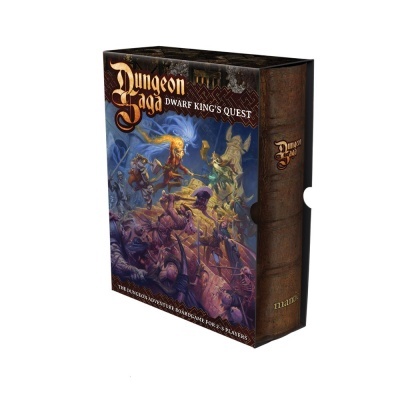 Dungeon Saga: The Dwarf King's Quest is the Classic Dungeon Crawler of Swords and Sorcery. 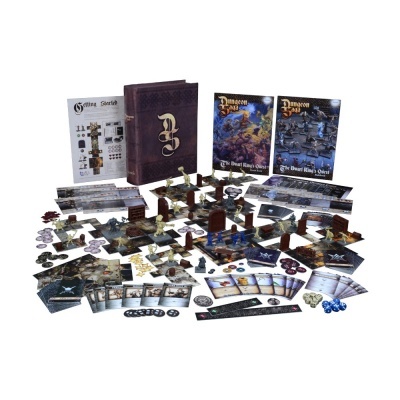 Embark on a fantasy adventure for up to 5 players in the Dungeon Saga board game! 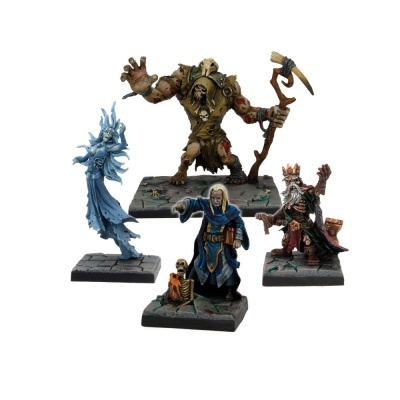 With highly detailed game-pieces and learn-as-you-play rules, this set contains everything you need to transform your table-top into a magical world of heroes and monsters. Beautifully illustrated 3D dungeons with doors, barrels, bookcases and more! One player takes the part of the evil dungeon overlord with the forces of evil at his command, and the others divide the mighty heroes between them. Each hero has strengths and weaknesses and teamwork is the key: The mighty barbarian can slaughter many foes at a time, yet he is lightly armoured and vulnerable to strong enemies. The Dwarf, on the other hand, is steadier as his thick armour can resist most attacks. The Elf is not as skilled a fighter as either of these, instead preferring to stay at a distance where her finely-honed archery skills can best be used. Finally, there is the wizard -the others may laugh at his lack of fighting skill, yet it is often his magic that carries the day. If the others can keep him alive, that is. This core set will be supported with a raft of expansion products as time goes on, adding new challenges and game modes to your Dungeon Saga. 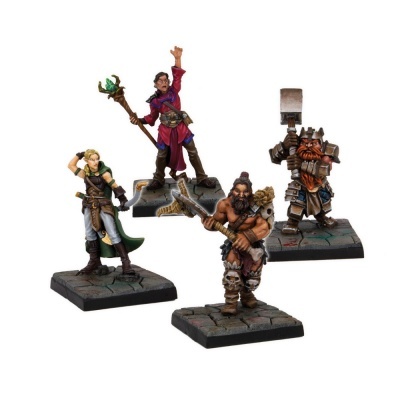 The first of these will be Adventurer's Companion which will add an AI system for solo and fully co-operative play, the ability to create unique characters from scratch using any model in your collection, the tools you need to design your own dungeons and much more! When the fate of the world hangs in the balance, which part will you play in the epic Dungeon Saga? 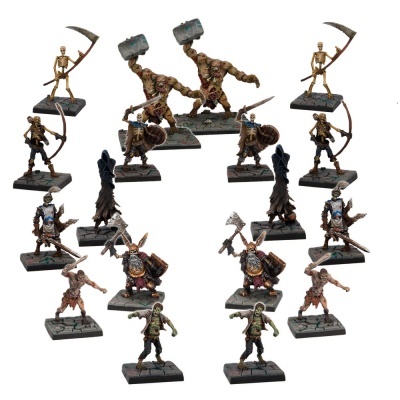 Models supplied assembled and unpainted.